Create website for Hebden Bridge Little Theatre. They are a small, dynamic and welcoming theatre group, producing consistently high quality drama. 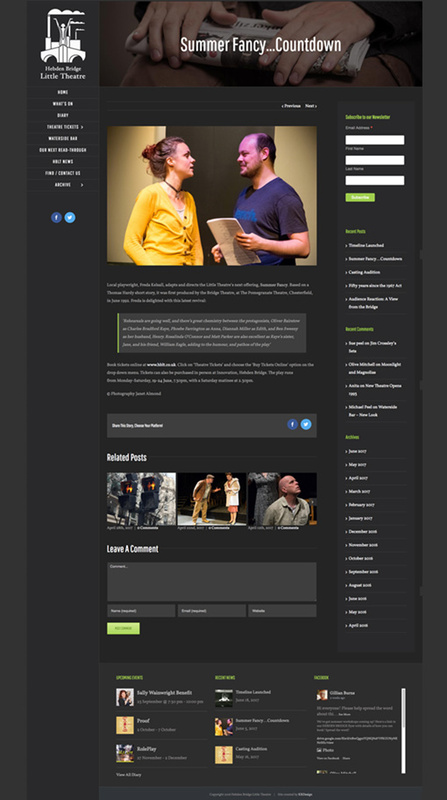 As well as having the usual functionality required for a theatre website – listings, ticket sales etc. – the site has an extensive archive section documenting the visual history of the theatre.